Gergö Szinyova (b. 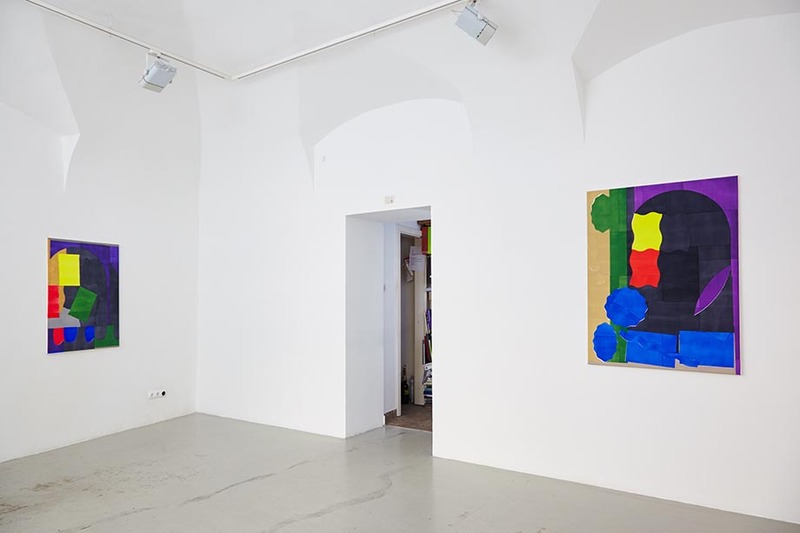 1986), as one of the most prominent talents of his generation, participated in numerous solo and group exhibitions in the past years in Budapest, Graz, New York and Los Angeles. 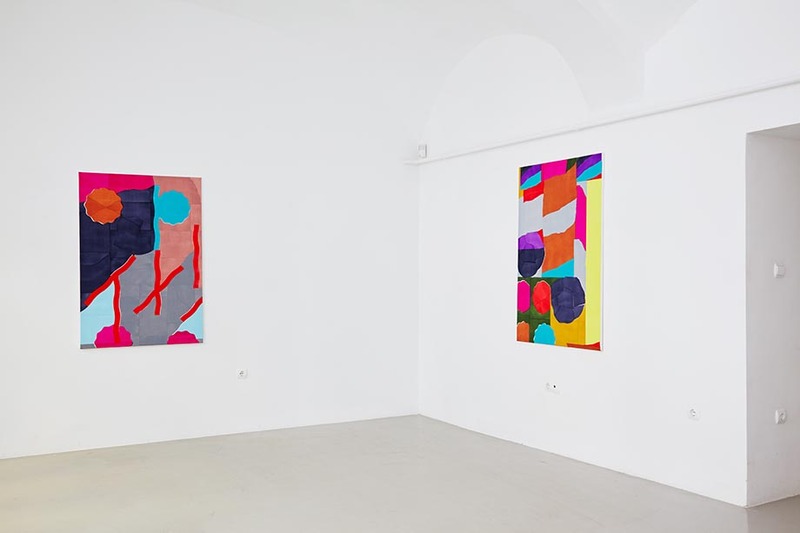 His art is connected to the new abstract tendencies of recent years on several levels. His paintings frequently constitute independent series that attempt to discuss and reinterpret current paradigms of the history of painting. As an artist of the Tumblr-generation, visual impulses of the digital culture of the 21st century keep getting integrated into his works. 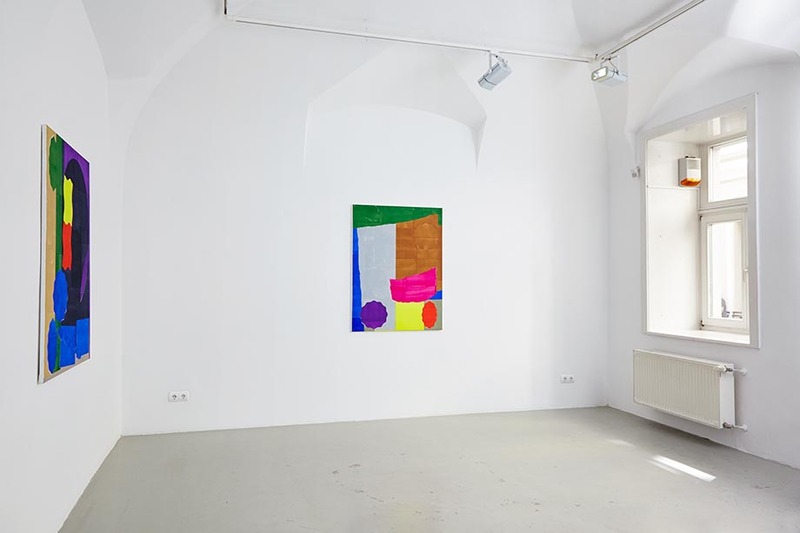 As it was highlighted by Dávid Fehér, reduced motifs of hard edge and colour field painting (Imaginary Viaduct, 2016), all-over structures of abstract expressionism, or the traditions of monochrome painting, aspiring to reach an endpoint of painting, can be found among the inspirations of his previous series. 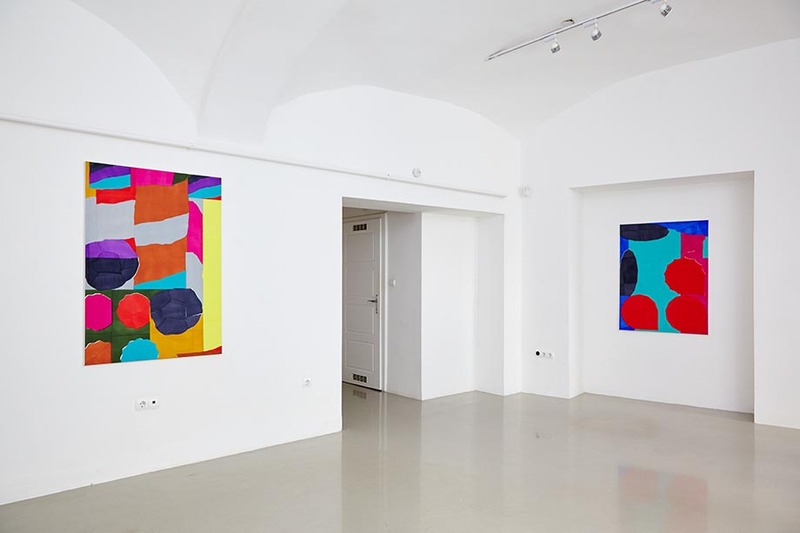 Szinyova frequently combines painting techniques within his compositions, which makes such different styles interact in his paintings like the strict forms of geometric abstraction and the casual air-brush gestures of street art. Szinyova draws our attention to today’s flow of images that lack any beginning or end by remixing visual codes. 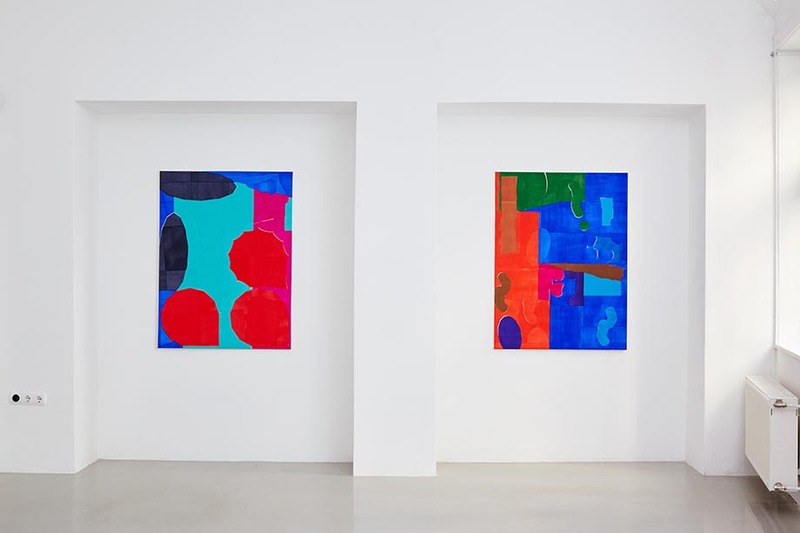 Kisterem's exhibition, called Comfort / Comfortless, presents Gergö Szinyova’s latest series. 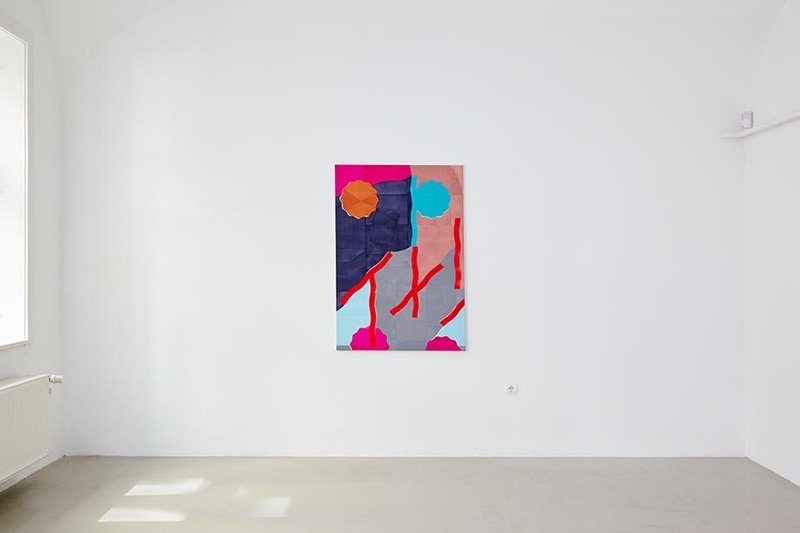 The paintings’ extremely thin, print-like painted surfaces are similar to screen printing, and echo aesthetic characteristics of risograph printing, which is now living its renaissance. For this the artist developed a technique that makes it possible for him to paint print-like surfaces that are unique, unrepeatable, and not multipliable entities, however, the repetition of digitally pre-drawn motifs (with vector graphics) in the pictures refers to the possibilities of industrial multiplication. Apart from the aesthetics of risograph prints, Hungarian and European poster art of the 1970s and 80s are important influences for Szinyova. Beside associations, in this present case through recalling the aesthetic characteristics of multiplication, it is still an important ambition of his to avoid narrative and straight meaning.